Isaac was fascinated by tennis from a very young age but was forced to wait two years to play his first shot. Along with a group of friends, he used to chase around the local hotel courts after school working as a ball boy for tips from airline staff. It was his way of getting close to the game he had fallen in love with. Isaac had first started running the courts as a seven year old and it wasn’t until he turned nine that he got his break; like winning the lottery. The willing youngsters were rewarded for their perseverance with their very own racket, balls and T-shirts by the flight crew. The only problem was the group only had one racket, a used wooden Dunlop racket and they called it “The Golden Racket”. Undeterred, Isaac cut a replica out of a piece of wood using the ‘golden’ racket as a template. Now, having watched in awe for so long, they were on court and ready to play a match among themselves. The rules were simple – win the point and you get to keep the good racket. Isaac soon taught himself how to play better than all his friends as he never wanted to let go of the racket he had worked so hard to achieve. He would ask guests for tips on technique and how to play certain shots and then practice for hours by hitting against a crumbling wall until he got it right. Isaac grew up fast and strong and could see a bright future in tennis. He entered his first tournament aged 14 – despite not having any formal lessons or shoes – full of hope yet feeling “scared to death”. Having reached the semi-final, an impressed spectator Mr. Mike Eghan offered to buy him some trainers for the final which he gratefully accepted. Looking back, he now believes he should have continued barefoot as he ended the tournament as runner-up. 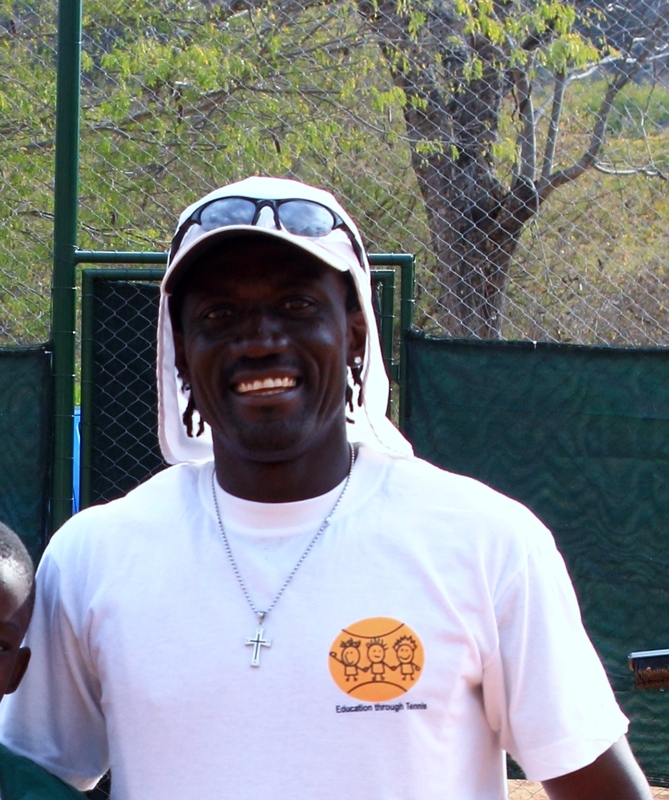 But Isaac’s game – including his lightning fast first serve – was now in full swing and he was selected for the Ghana Davis Cup Team at 19 years of age, playing as number two seed for a further nine years. During this time, and still without a lesson, he was awarded a full tennis scholarship to the USA in 1991 and ended his first year as Junior College Player of the Year at New Mexico Military Institute. He then went on to get his bachelors degree at the University of New Mexico.